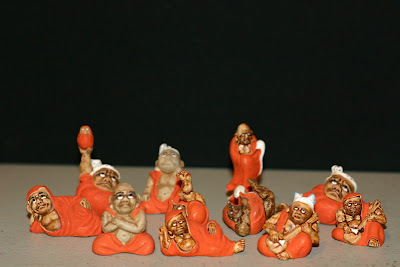 There is a famous collection of 50 Daruma dolls of various sizes. It was made by Takeda Kasendoo. 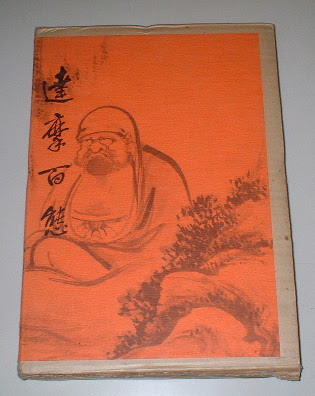 竹田花川洞　who ws born around 1901. He was originally a painter. Before the war, there was also a collection of one hundred Daruma, most probably selected by Kido Chuutaroo 木戸忠太郎. 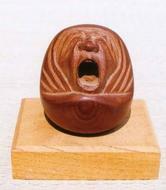 There is also a set of 100 different Daruma clay dolls, made at the beginning of the Showa period. And I found a haiku! 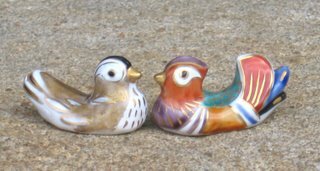 This is a group of ceramics daruma figures. There are also a few in my Daruma Museum.